Day #2 of the Symphony Under the Sky Festival was moved inside due a severe weather warning. Alas, it was only a warning since the afternoon weather was quite enjoyable. However, the continuous rain that greeted the patrons after the evening concert provided a good reason for moving the festival indoors. The afternoon program was definitely designed to be performed in an outdoor setting. How magical it would have been to hear Mascagni's "Intermezzo" with a glimpse of the lake behind the stage and the sound of squirrels in the trees. All the works in the afternoon were accessible classical pieces that featured the solo work of many Edmonton Symphony instrumentalists: Virginie Gagné, a first violinist, Robin Doyon on coronet, and clarinetist Julianne Scott in addition to Kathleen de Caen, a cellist trained at the University of Alberta. 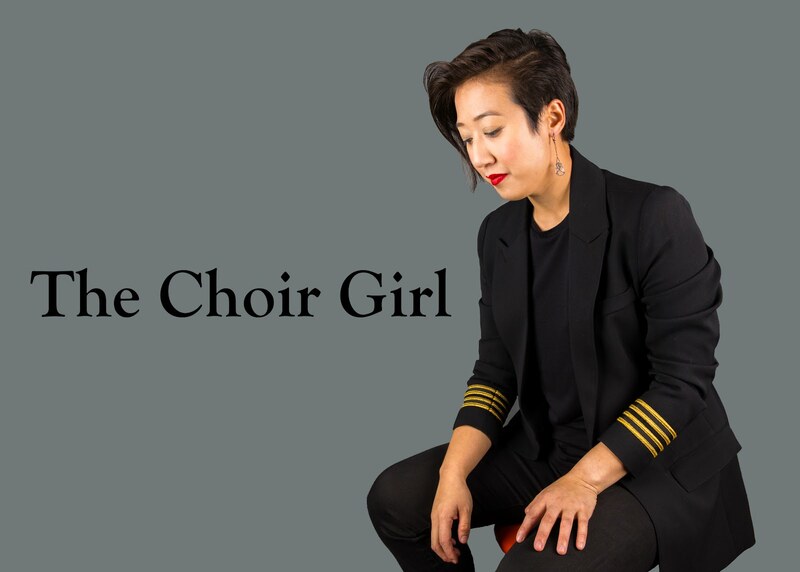 While it is wonderful to hire internationally recognized soloists, it is nice to see the talent of local musicians highlighted as well. 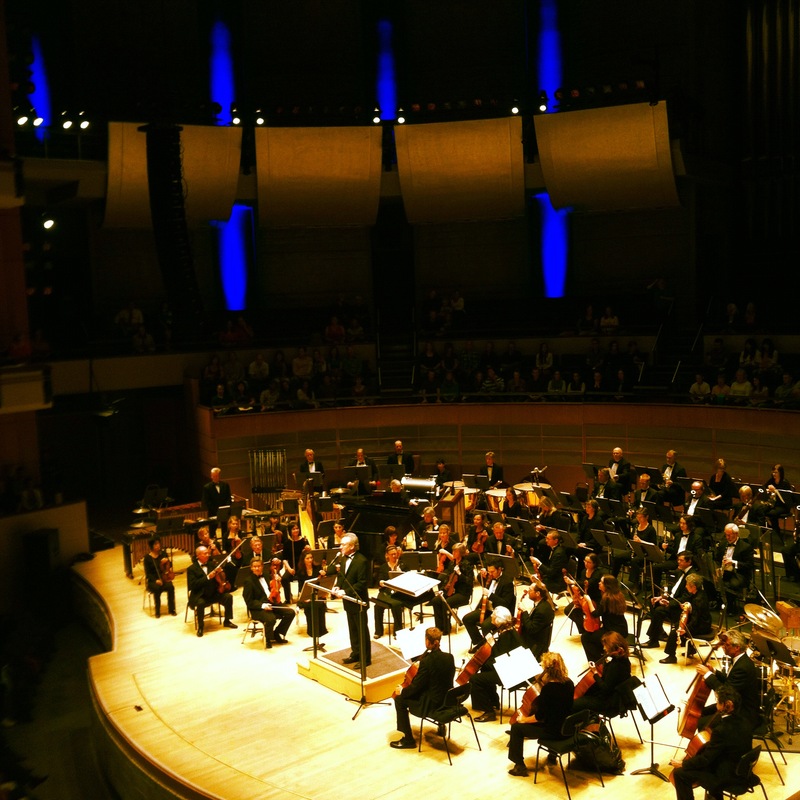 As well, a budding new local composer, Samantha Semler, had her work "Longing for Restoration" premiered by the Edmonton Symphony Orchestra. She has been working since April with the ESO's composer in residence, Robert Rival, to compose a symphonic work. There are two recipients this year and the other, by Daniel Belland, will be played at Monday's concert. The Hollywood Classics evening started with a trio of tunes by John Williams. Williams's "Raiders March," "The Flag Parade," "JAWS theme," and "Viktor's Tale" from the Spielberg movie, The Terminal. They ESO also made an excellent choice to showcase the talents of Sara David Buechner once again by having her perform Étude No. 3 in E major “Tristesse” and the Spellbound Concerto. While it is easy to play iconic works composed only for film, the ESO chose to perform classical works which have become iconic in their own right because of their use in film. The best thing about Hollywood Night is that the ESO doesn't take itself too seriously. 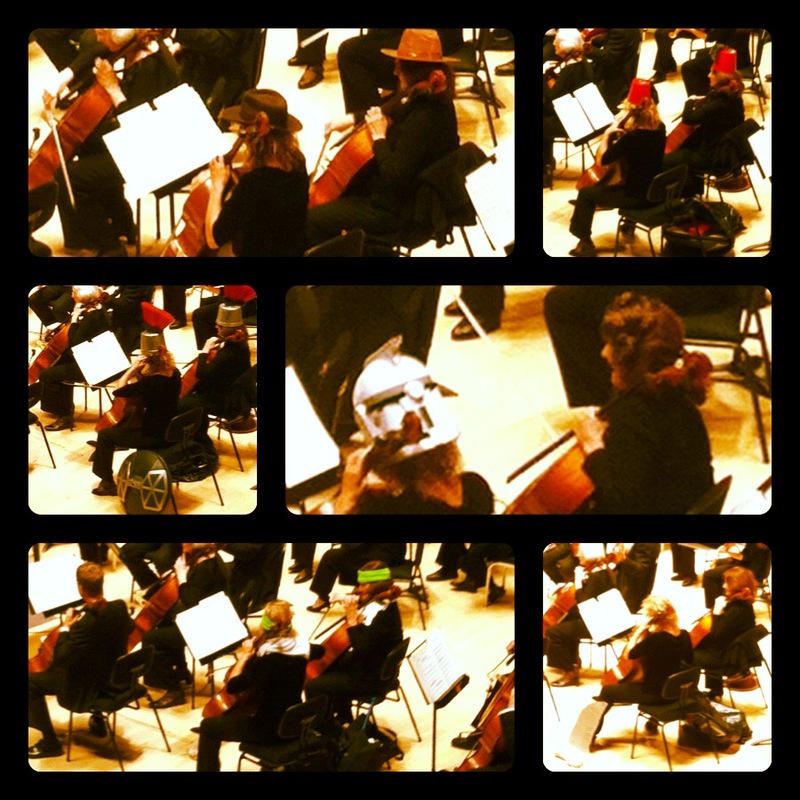 This was apparent when two cellists assumed the role of wearing accompanying headgear for each of the pieces: A Storm Trooper helmet and Princess Leia wig for Star Wars, Fez's for Casablanca, and Sweatbands for Rocky. The audience enjoyed this comedic visual treat. There are still tickets available for the concerts this weekend including Broadway Showstoppers on Sunday evening and Concerto for a Tap Dancer and Orchestra and Tchaikovsky's Overture on Monday afternoon.